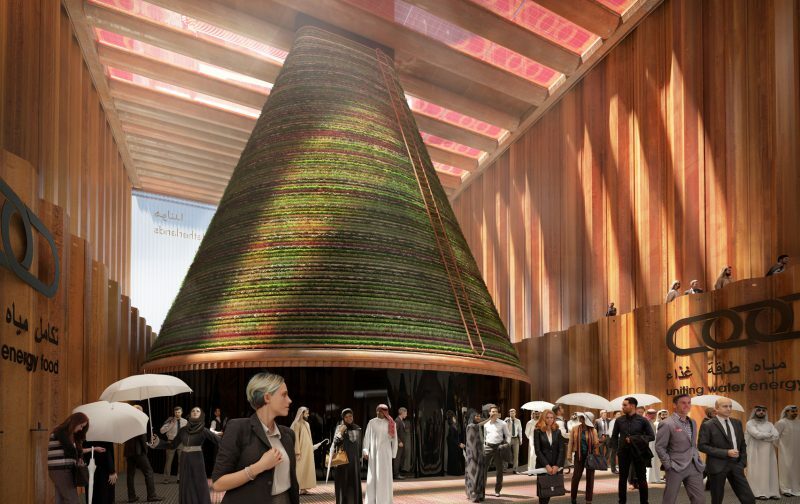 For 2020’s World Expo in Dubai, the Dutch are building a temporary biotope, instead of a building. The pavilion where the biotope will emerge is a circular climate installation motivated by the central theme of uniting water, energy, and food. The Dutch pavilion is a collaboration between four architecture and engineering firms: Expomobilia, V8 Architects, Kossmann.dejong and Witteveen+Bos. It will take the shape of a rectangular box with a cone-like structure consisting of concentric rings of plants as its eye-catcher, clearly visible from the outside through an all-glass facade. The interior elements are inspired by the typical rhythm of the Dutch green landscape and geometric patterns and elements from Arabic culture. 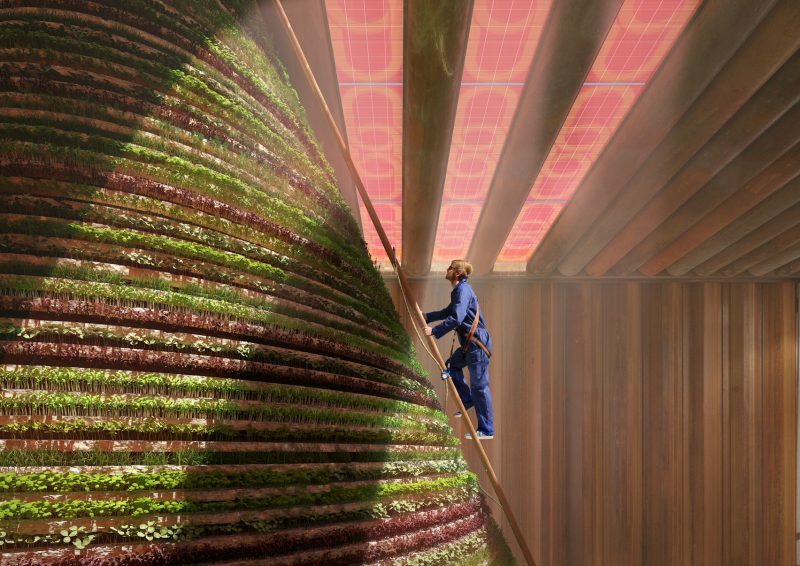 “Inside the pavilion visitors are treated to a sensorially rich experience of Dutch know-how and skills in the field of innovative water, energy and food harvesting. The circular or closed-loop climate concept generates a world in which visitors are able to immerse themselves in silence, warmth, coolness, light, darkness, agriculture and water, and in which they can discover natural ways of controlling climate,” V8 Architects states. The pavilion will be constructed using strictly locally sourced or rented materials, which will all be returned or given a new purpose when the Expo ends. 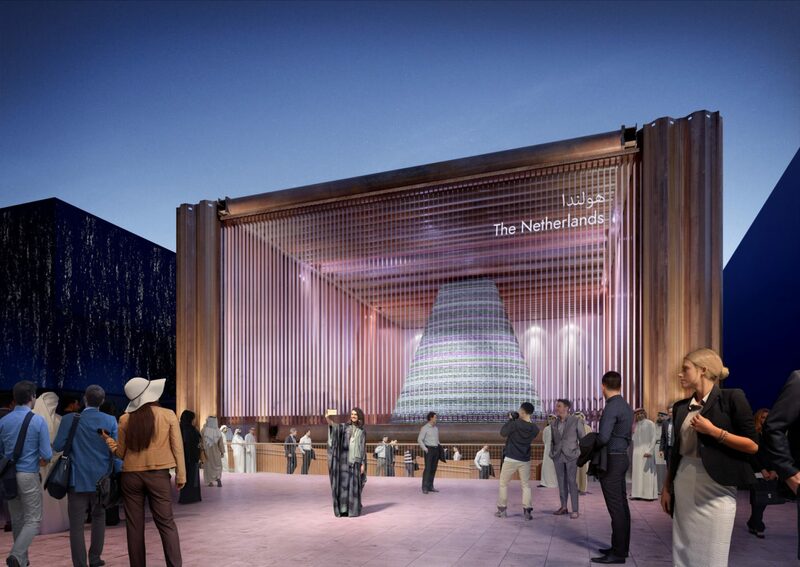 The pavilion is part of a longer-term collaboration effort between The Netherlands and the Gulf States. The Dutch Dubai project will establish a network of businesses, knowledge institutions, governments and social organizations, working together towards self-sustainability in the Gulf region. In this way, the installation is meant as a reflection of the potential of a Dutch-Gulf collaboration to create a system where inhabitants can produce their own water, energy and food – even in a desert climate. Aside from representing The Netherlands as an expert on water, energy and food production, the pavilion will house an exhibition space, a restaurant, an auditorium, a VIP lounge and a shop. Situated in the Sustainability district of the World Expo, the space will function as a meeting place for professionals in the field, bringing together sustainability know-how and technology from all over the world. 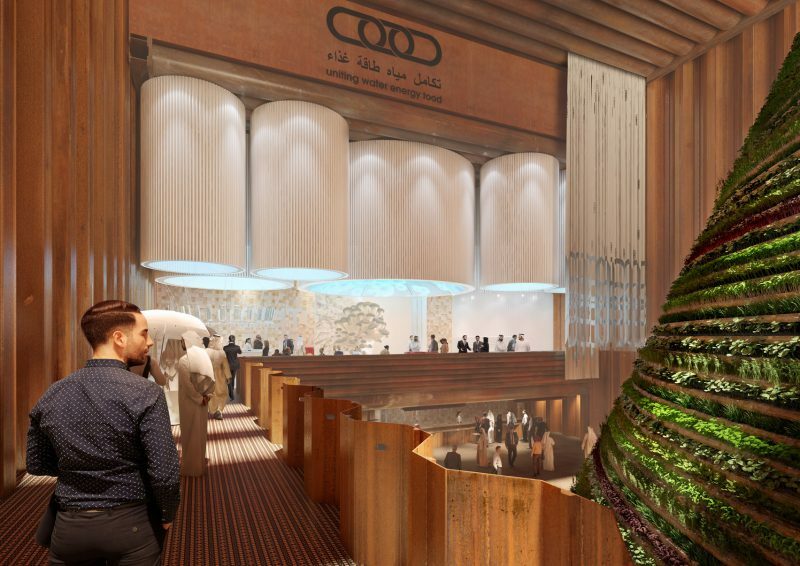 Ultimately, the Expo 2020 Dubai strives to trigger new thinking about long-term effects in not only the Middle East, but also Africa, South Asia and the wider world in the interwoven themes of mobility and opportunity, alongside sustainability.